AFC Wimbledon have been charged by the Football League with fielding an ineligible player in their 4-3 win over Cheltenham last month. Jake Nicholson joined the Dons in February after being released by Scottish Championship side Morton. 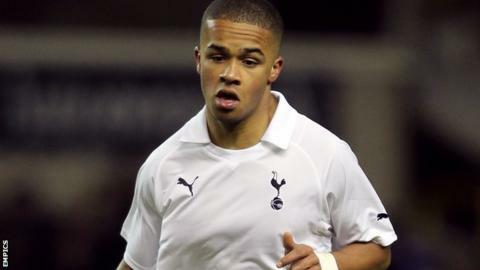 The 21-year-old scored against Cheltenham in what was his debut for Wimbledon, and has made two further appearances since then. The club will appear before a Football Disciplinary Commission on 28 April. If found guilty, the south-west London club could face a possible points deduction. They are currently 14th in League Two, nine points clear of the relegation places with two games remaining. "We will be represented at the hearing by Jim Sturman QC and he has advised us that it would not be appropriate to make any further comment at this time," a statement on the AFC Wimbledon website said. "As soon as the outcome of the hearing has been determined we will publish the background to this charge."